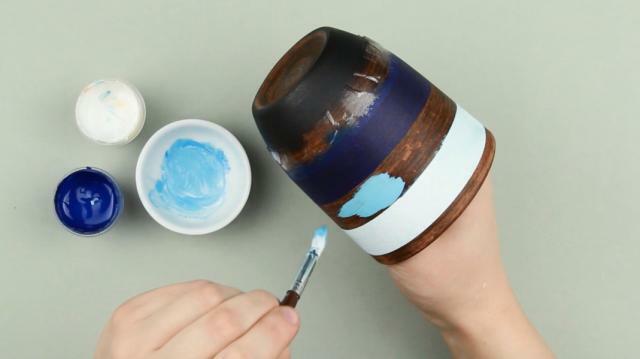 In our new tutorial we'll show you how to paint a vase with acrylic paint. 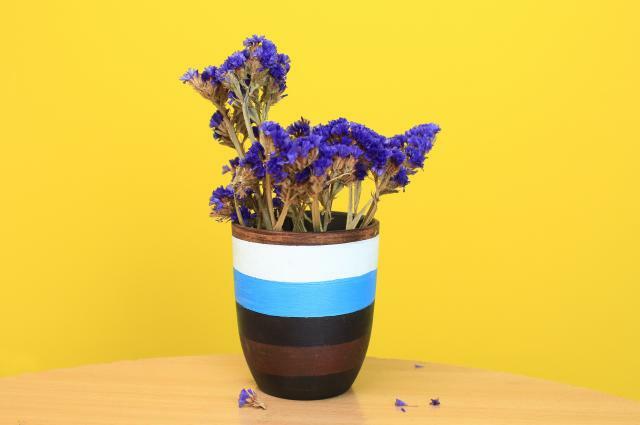 This striped vase will become a stylish decoration for your home! 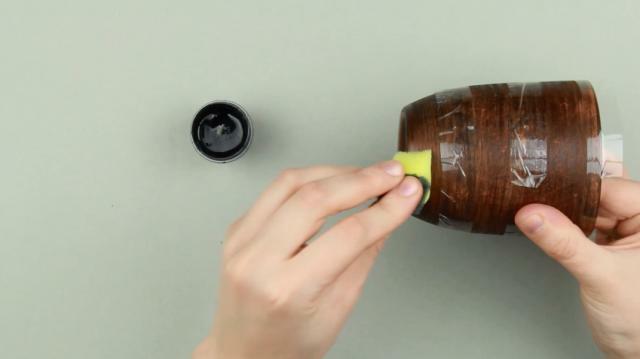 Attach the tape around the vase at an inch from the bottom. Cut out the excess and check if the tape is on the same level. Attach two more tape strips in the upper and middle part at equal intervals. 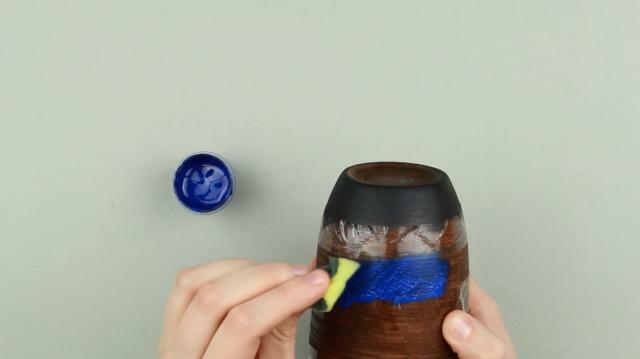 Use a brush to put some paint onto a sponge. Dab the underside part with the sponge. The tape will make your color strip even. 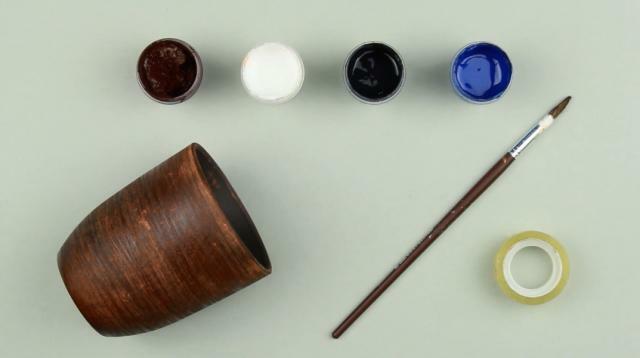 Take blue paint with the brush to put it on the sponge. Color the next area between the tape strips. Mix blue and white to get pale blue. Use the brush to paint the upper strip. 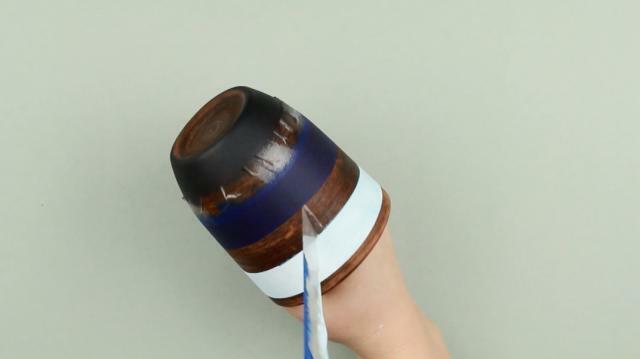 Remove the tape when the paint is dry. Mix colors again to get a sky blue shade. Paint the uncolored area. So we’ve made three strips of the same color but different shades increasing from dark blue via sky blue to pale blue. 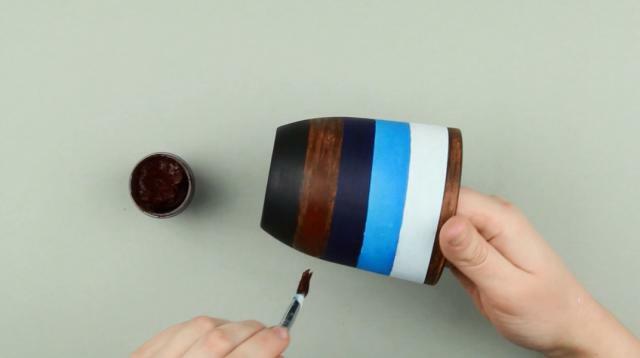 Remove the tape from the last strip and paint it brown. Just a bit of acrylic paint and patience will turn an ordinary vase into a bright and interesting design element. 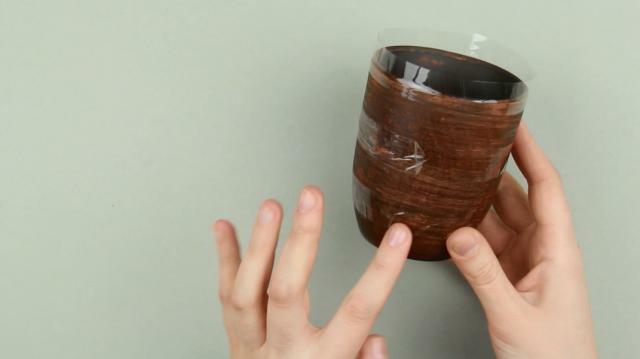 You can transform a glass jar or bottle into a new decoration by following the same way.